Thomas McPhail, owner and creator of McPhail Constructed Properties, has the hands-on experience to make your dream home a reality! Much of his life has been spent working in various areas of the construction industry. 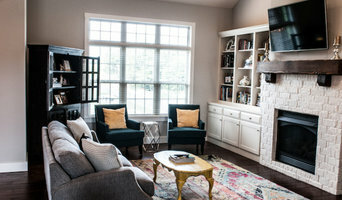 That characteristic along with his Bachelor of Science degree in Business Administration from Missouri State University gives Thomas that stand-out quality consumers are looking for in a builder. He grew up working on re-model projects, went on to be an apprentice for a respected general contractor, and upon finishing college decided to start his own company to fulfill his dream of building quality, unique homes on a value driven budget. We offer complete construction from start to finish turn key home building. Wesley Johnson Masonry Construction Services serving Branson, Springfield, Nixa, Ozark, Reeds Spring and the surrounding counties in Southwest Missouri and NW Arkansas. Naturally, as your neighborhood Branson masonry company, we endeavor to provide customer service second to none, budget friendly estimates, work guarantees and designs tailored to your specific needs or even work with architects to make all your visions spring to life. We have been in business since 1999 serving all of Southwest Missouri and Northwest Arkansas as the premier masonry company for home remodels, commercial buildings, landscape projects and custom builds such as fireplaces and walkways. Our aim as a Branson masonry company is not meet your expectations but to exceed them. Wesley Johnson Masonry’s goal is to please you, as our customers are our most valued asset. We assure you all of our projects will be completed as quickly as possible. We realize how important this is to you. Although we are quite versatile, this Springfield and Branson masonry company takes particular pride in refurbishing, restoring and enhancing your property for a look that will have people stopping their cars, simply to take in the view. Other examples of what we commonly install are patios, custom created fireplaces, walk-ways, retaining walls, elevator shafts, foundations and any stonework a home requires, but remember residences are only one aspect of our business. As your Branson and Springfield masonry company, we supply all services and are only a phone call away at 417.339.7689. 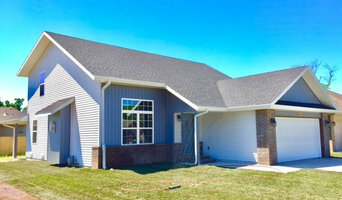 Custom Home Building and Renovations serving the Springfield area. Welcome! 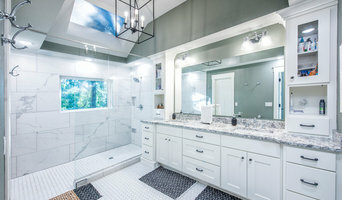 With over 26 years of experience to rely on, Marc Ekhause Custom Homes and Renovations focuses on exceptional quality, attention to detail, and enduring value. Our construction techniques emulate the genuine look and feel of authentic architectural elements of style. Skilled guidance and “hands on” involvement with subcontractors, craftsmen and suppliers ensures the end results: High quality and artistically crafted custom homes, renovations and additions. Personalized Construction Services are the trademark of Rich Kramer Construction. The company was founded on the principles of honesty and hard work, and marked by a “can do” attitude. RKC is unique in self-performing many of the disciplines of your project with our own, in-house craftsmen. This enables us to better control the quality, cost and schedule of your new facility. Our company has developed, and will work tirelessly to enhance, a reputation for being as easy to work with after a contract is signed as we were during the planning process. We are a national "Solutions" company that specializes in making homes safe for seniors, handicapped as well as being a complete remodeling construction company. Nesbitt Construction, Inc. was founded thirty-eight years ago with $2,500 and a dream. Drawing on personal savings to open a business account, Bill Nesbitt hired two carpenters and a laborer, grabbed a pad and pencil, and went to work. Nesbitt Construction was in business! During the second year of operation, Nesbitt Construction built its first restaurant, a Pizza Planet at Chestnut and Glenstone. This led to a string of restaurant construction projects including Mayfield's Restaurant in Strafford; Uncle Bentley's and Mandarin Inn in Springfield; Master Wong locations in Springfield, Bolivar, and Osage Beach; and all the Saint Louis Bread Company (Now Panera) locations in Springfield and Branson. Due to its commitment to quality work at a fair price, much of Nesbitt Construction's volume is repeat business. As the business grew, so did the scope of its projects. Nesbitt Construction is proud of its work on the University Plaza Trade Center, Southern Missouri Containers, Franciscan Villa, Brown Derby International Wine Center, Cooper Soccerplex, Solomon Smith Barney offices and many other industrial and commercial sites in Springfield area. Phillips Custom Builders was established in 1974 by Tom Phillips, Jeromy’s father. Jeromy is a 5th generation builder and the second to own the company. Since he was a small child, Jeromy has worked along side his father, learning the technical building skills as well as the ability to listen closely to the client and maintain quality workmanship even in a rapidly changing business environment. 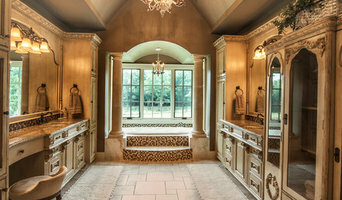 Phillips Custom Builders have a proven track record of consistently building quality homes. They closely observe subcontractors and develop relationships with handpicked craftsmen, training and working with them to monitor each step of the building process successfully. 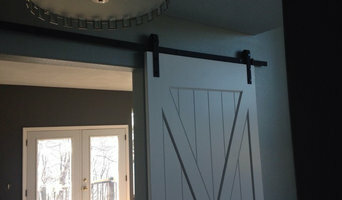 You can see some of their custom work in the area’s finest neighborhoods and surrounding country. Jeromy takes pride in his family’s long history of meeting the homeowner’s high expectations. He respects the fact that building a home means being responsible for a family’s most important investment. We are masters of our craft, with over 25 years of experience serving our community. We are your one stop shop for all your home building needs. We’ll complete the job professionally and in a timely manner. Give us a call today!